Deacon Scott Pearhill was ordained to the diaconate in the Roman Catholic Diocese of Boise in October, 2011 and was assigned to Holy Spirit Catholic Community in Pocatello and Chubbuck where he continues to serve. 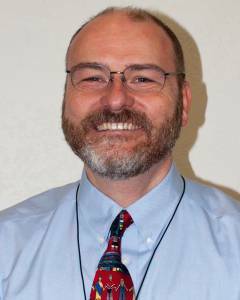 Previously, Deacon Scott served the Catholic community in Pocatello and Chubbuck as a lay pastoral associate from 2000-2006. He received a Master's degree in Pastoral Studies (applied theology) from Loyola University, New Orleans in 1999, and has completed the Diocese of Boise Servant School training as part of his diaconate formation. Deacon Scott is married to Marcy and has two children, Gabriel and Robert.